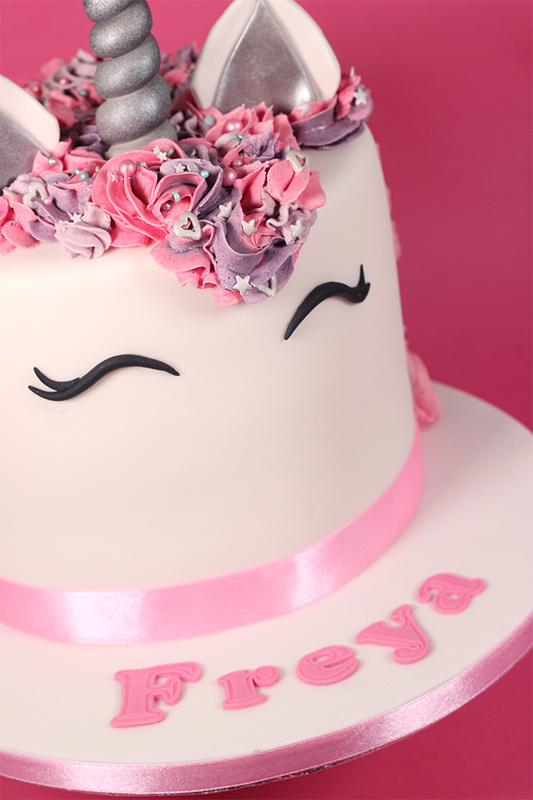 Layers of vanilla sponge cake filled with vanilla buttercream and jam. 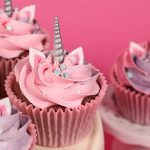 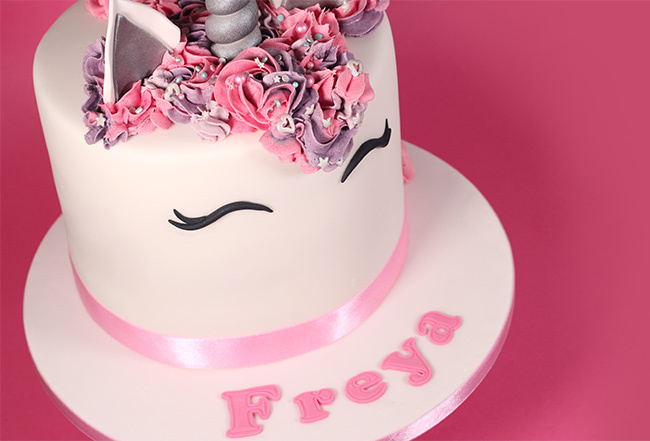 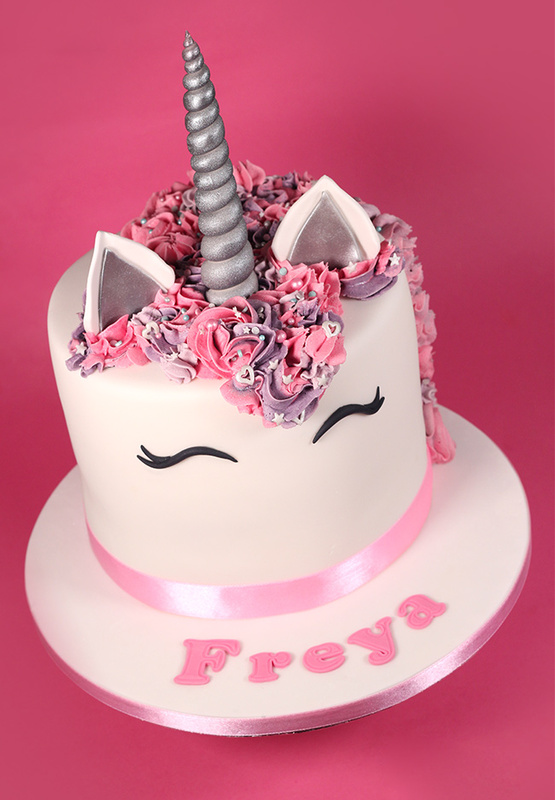 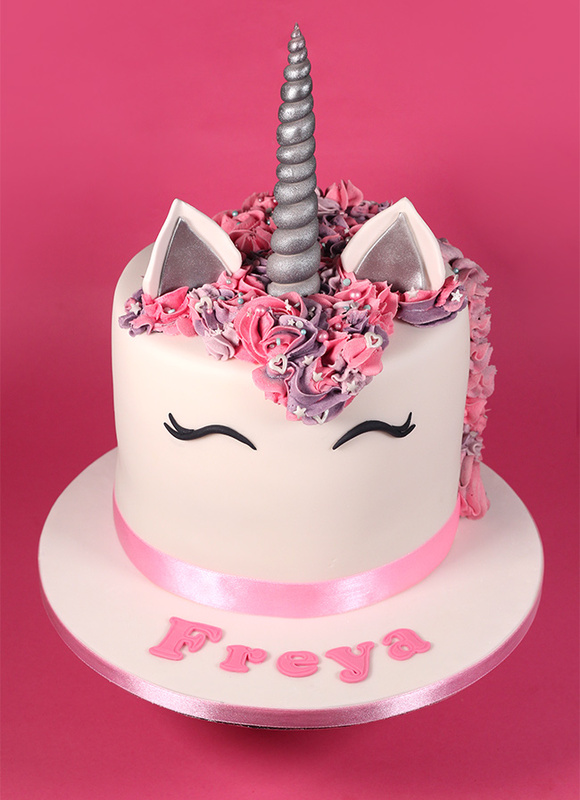 Covered in white fondant icing decorated with swirls of pink and purple buttercream for the unicorn mane, sprinkles, sugar eyes and handmade unicorn horn and ears. 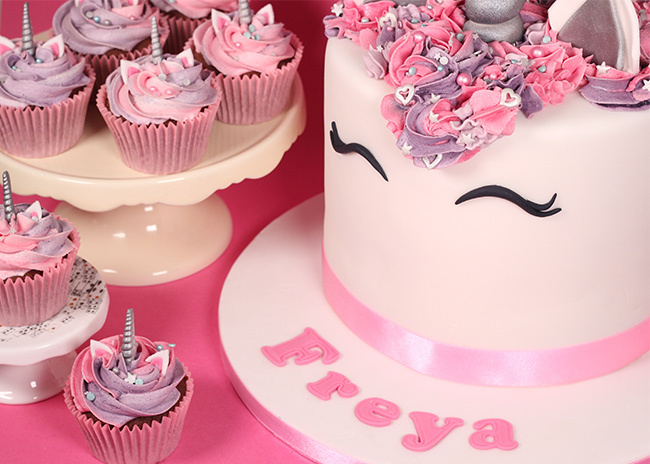 Perfect for any unicorn themed party!